Urban Craft Uprising's Premier Seattle Food Show | FREE to Attend! Come discover the best craft food makers in the Pacific Northwest at Urban Craft Uprising’s premier food show — now in both Seattle AND Portland! Now in its third year, we are so excited to bring this show to a Portland venue as well in 2019. Sign up for our mailing list above to stay in the loop as vendor applications and event registration becomes available! This specialty food festival will be geared to both everyday customers, as well as to restaurants, chefs, and other professionals in the industry. 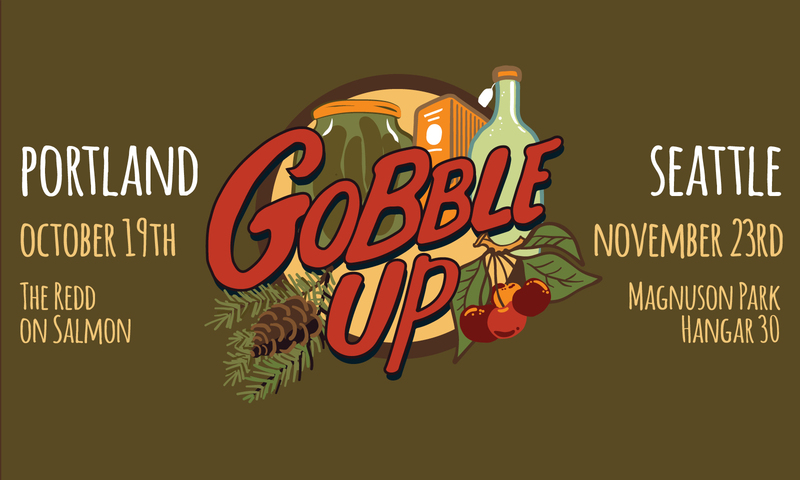 Why come to Gobble Up? You’ll discover 100+ local crafty food and beverage vendors that you may have never heard of before…or who may be one of your favorite vendors that you can stock up with in person! You’ll show up to your holiday parties with contributions that will still wow all the other guests…even if you don’t feel like cooking! For those of you excited about the food scene, you’ll find inventive, local food makers, all in one place. Restaurateurs & Chefs: You’ll discover exciting new products from local purveyors to feature in your dishes and on your menus. It’s FREE to attend! Register today!